Join an amazing host in a retro game show from ELK Studios and Hit It Big for wins of up to 2,500 times your stake from the Hit It Big Bonus Game feature. 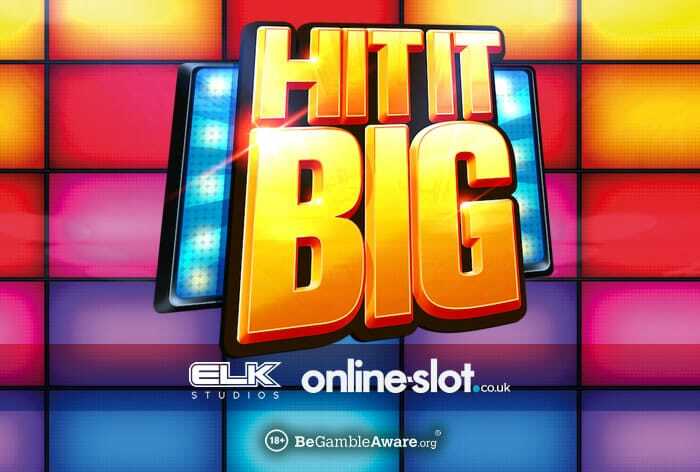 Hit It Big is an ELK Studios slot with 5 reels and 5 paylines – playable from as little as 20p per spin across all devices including smartphones and tablets, it has a retro feel and comes with 4 base game features. With classic symbols such as Bars, Double Bars, Triple Bars, green, blue and red 7s, the golden treble 7 symbol is the most lucrative giving you 50 times your stake for 5 across a payline. With cash prizes to be won, you will move to the next and more lucrative level if you land on an inward pointing arrow – the Hit It Big bonus level can see you win prizes of up to 1,000 times your total stake. With a total of 2,500 times your stake to be won here, it’s definitely a unique slot. For more details, check out the Hit It Big slot review. You can play Hit It Big now at LeoVegas Casino – with more than 1,250 slots to choose from, they have other new releases like NetEnt’s Wild Worlds, Quickspin’s Durian Dynamite and iSoftBet’s Lucky Stripes. Sign up to get 20 no deposit free spins on Play ‘N Go’s Book of Dead. On your first deposit, you will get a 100% bonus up to £100 + bonus spins – if you deposit £100 or more, you will get a £100 bonus as well as 25 bonus spins (again on Book of Dead). This applies on your second, third and fourth deposits meaning you will get up to £400 in bonuses and 100 bonus spins from your first 4 deposits.